Available now from print-on-demand service lulu.com, this is a short unfinished Primitif story from 1996. 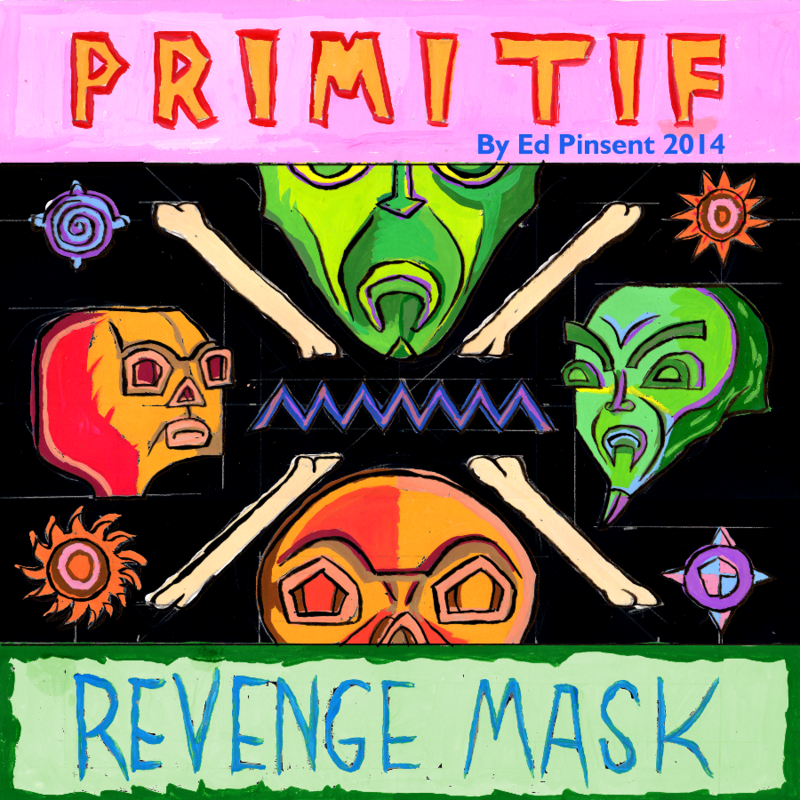 Primitif Volcano Mask	Ed Pinsent Primitif in Volcano Mask. 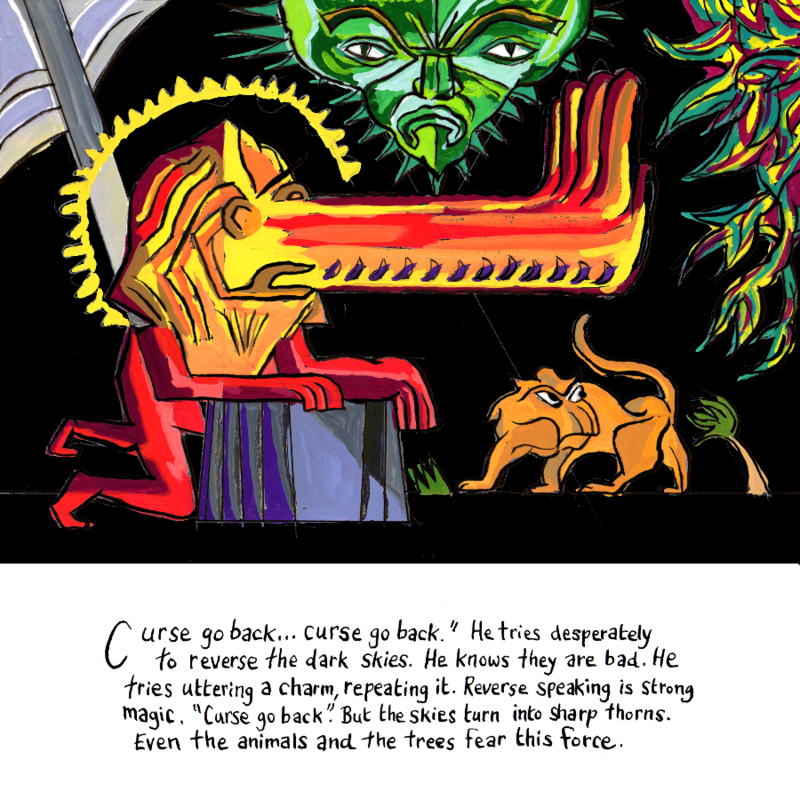 Digital Edition of a small press comic written and drawn by Ed Pinsent. 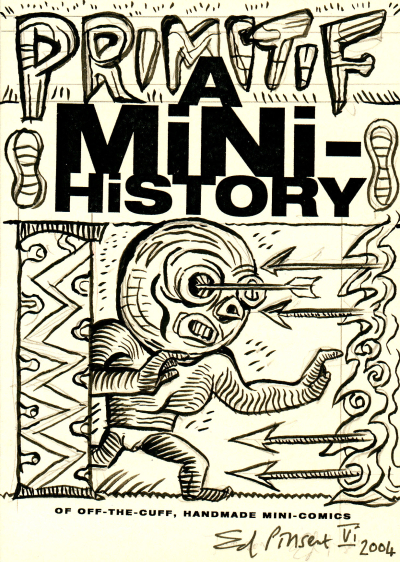 Originally published as a small press comic in 1987. Primitif gains the power to see into the future with his magic eye, rises to a position of prominence in his village, then loses everything through angering the Gods.